Standing for hundreds of years in the ancient world, lying for thousands of years, in the mother earth and re-born into the modern world, as a beautiful sculpture. 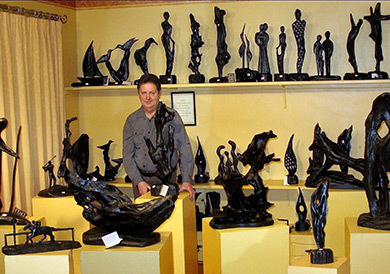 Brendan Collum has been commissioned to do sculpture presentations to some of the most prominent figures in Ireland. Pieces of his work have gone all over the world. To view samples of Brendan’s work choose one of the galleries below.